In production by 1948 and originally marketed as the "Astoba UW1", it carried a badge engraved: "ASTOBA A.STOECKLE Machines-Outils BASLE SUISSE" the Astoba name appears to have been coined from the name of the manufacturer and the town - "ASTO + BA". With a design that managed to combine both simplicity and astounding ingenuity the machine was beautifully-made and, as the UW-1, was further developed and improved by Messrs. Meyer & Burger in Steffisburg, Bern, Switzerland. After developing an interest in high-precision machinery for the slicing and preparing of silicon wafers for computer chips, the Company moved into a new facility, in the neighbouring district of Thun, built in the grounds of what had been a Government-owned factory producing artillery guns and tanks. By the mid to late 1980s and with a declining market for specialist machine tools, Meyer & Burger sold the rights to the machine - including the designs, patterns, stock-in-trade etc., to Messrs. Richard, Murgenthal. In the mid 1990s ownership passed into other hands: a partnership of Brunner Machine Tools in the UK and Messrs. H. Urben A.G. of Birkenweg , CH-3375, Inkwil, Switzerland. Tel. +41 (0)62 961 18 42 E-Mail: info@urben.com. Available in two models, The "K" and "S", the former was a standard bed-length version (12.6" between centres) and the latter a long bed (16.5" between centres). 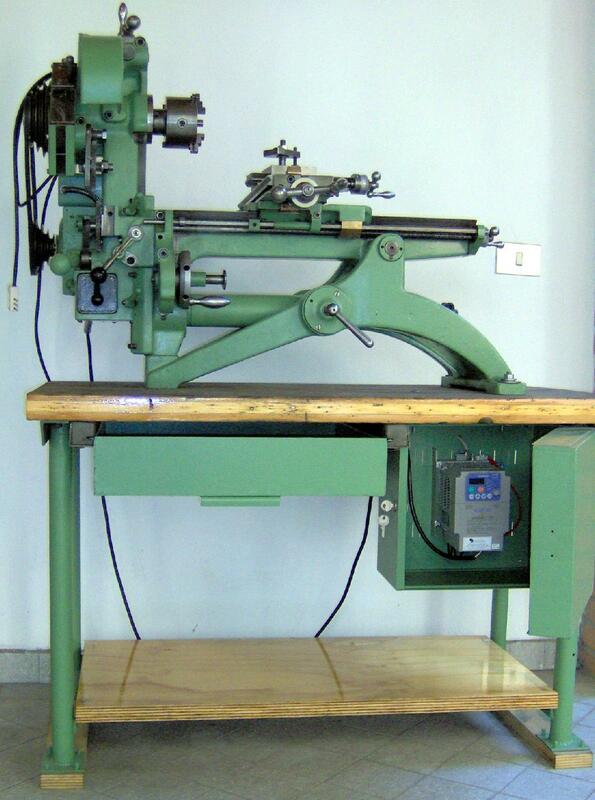 When arranged as a screwcutting lathe, with the tailstock in place, the centre height was 4.3" but, because the headstock could be raised and lowered, it was immediately adaptable as a facing lathe to turn material up to 16.6" in diameter, a facility helped in no small part by the enormous length of the cross slide's travel. Helped by a large spring concealed within a tube beneath the bed, the machine could be moved from horizontal to vertical and back again with relative ease. 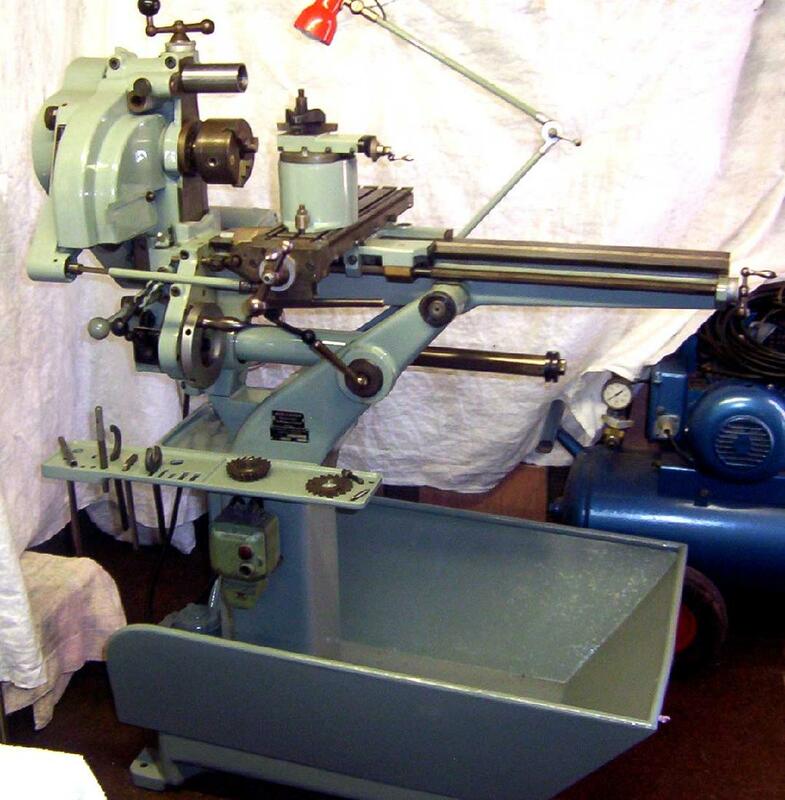 Aided by various accessories (including power feed to the table) it could be converted quickly into a backgeared screwcutting centre lathe, facing lathe, horizontal borer, drill, horizontal miller, vertical miller, surface grinder or a slotter. 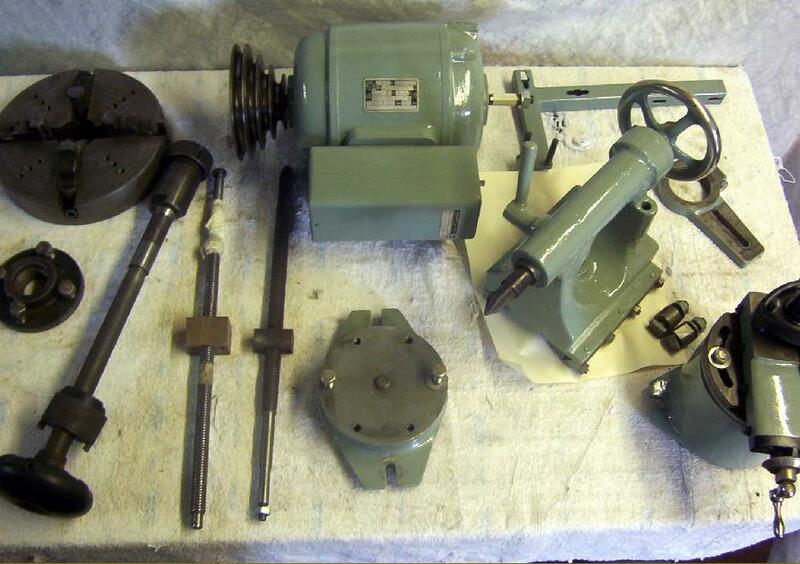 Other accessories (although not always mentioned in the sales literature) included a heavy-duty drill (1-inch maximum capacity) a power hacksaw; circular and jig saws for use on wood and a flexible-drive take-off from the motor intended for coupling to toolpost-mounted, high-speed grinding and milling spindles. Supplied with new machines was a large wall chart showing how the fifteen basic set-ups could be arranged. A two-speed motor and drive system provided 16 speeds that gave an enormously useful and deep range from 75 to 4000 r.p.m. - the latter fast enough not only for turning tiny diameters in metal but also for serious wood turning and horizontal and cylindrical grinding. An optional backgear assembly reduced the lowest speed to 23 r.p.m., at which the screwcutting of large diameter bars and undertaking heavy facing work became well within the machine's capabilities. 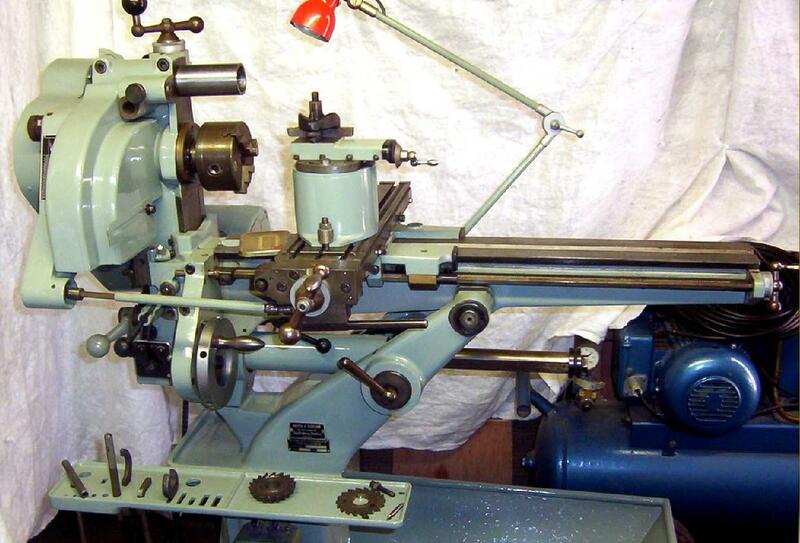 Running in self-adjusting, precision taper roller bearings, the spindle was fitted with the now hard-to-find and unusual P-Type 22 mm collets (with an internal rather than external thread, just like the Bridgeport R8 of a similar size) and a draw bar for retention. 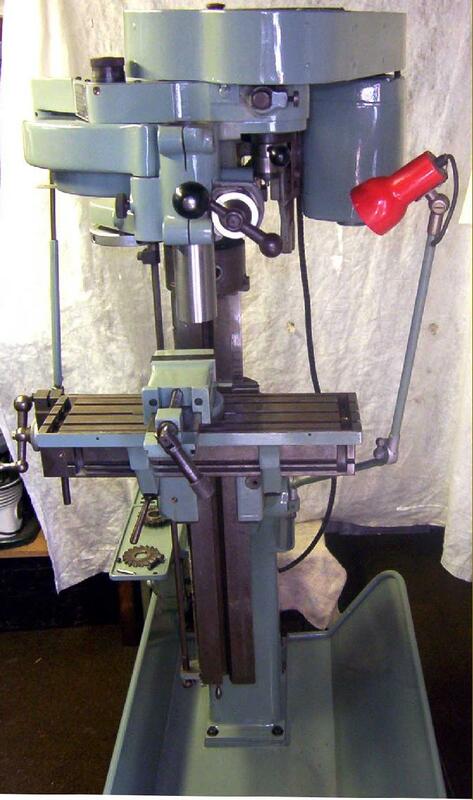 Although the height of the headstock could be varied, that of the tailstock was fixed at 110 mm (though a 100 mm raiser block was listed, and the writer has seen others, of different heights, obviously home made) and carried a No. 1 (optionally No. 2) Morse taper barrel. 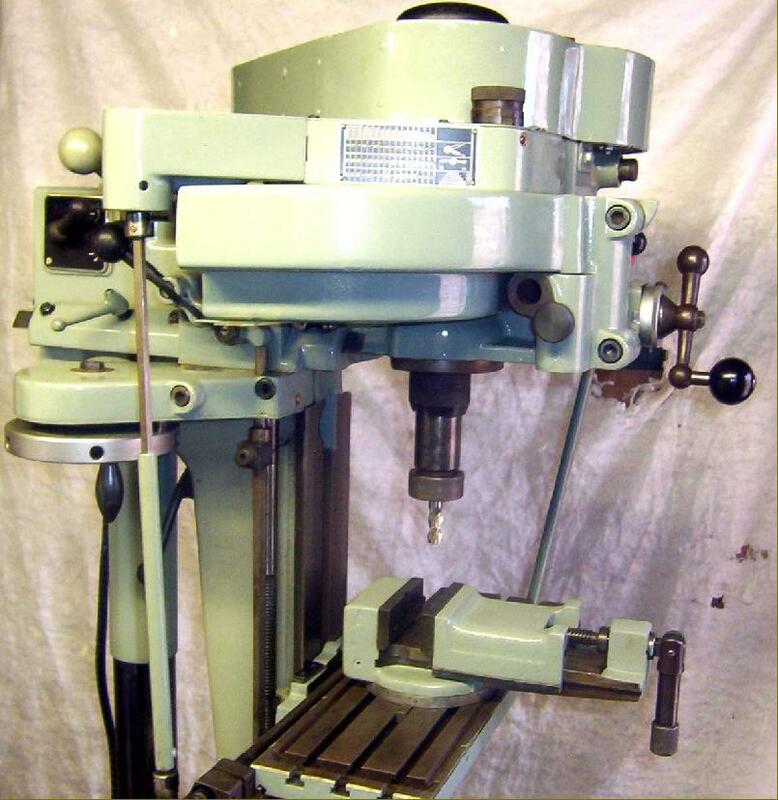 Several useful T-slotted milling tables were offered, including a swivel right-angle type (on an adaptor base) and a fully compound swivelling type (as often found on Deckel FP1-type millers) that could be angled in any combination of movements left to right and forwards and backwards. Almkvist, Ames Triplex, Adcock & Shipley, Dalton, Dainichi, Hommel, Kitchen & Wade, Kneller, Labormil, Leinweber, Metalmaster (Impetus), Murad Bormilathe, Piho, Rindis, Sacia, Scope and Siome. An experienced Astoba user reports: I first used the machine when an 18-year old apprentice - and was very taken by its silky-smooth motions, dependable repeatability and the rapidity in reconfiguring the set-ups. However, some 70% of the 10-minute change-over time had to be devoted to ensuring that all the ground slides were meticulous cleaned to ensure that they mated without damage. Having used an ASTOBA one ''just knows" that there are no serious competitors - there is simply no need to survey the market. It's also interesting to note that the physically much bigger THIEL 58 has, functionally, only slightly larger movements and capacity; for example: longitudinal table movement 12.0" versus 10.5"; spindle nose to table the same; ram movement 6.5" versus 6.0" - a comparison of each machine's bulk does not indicate this near similarity. 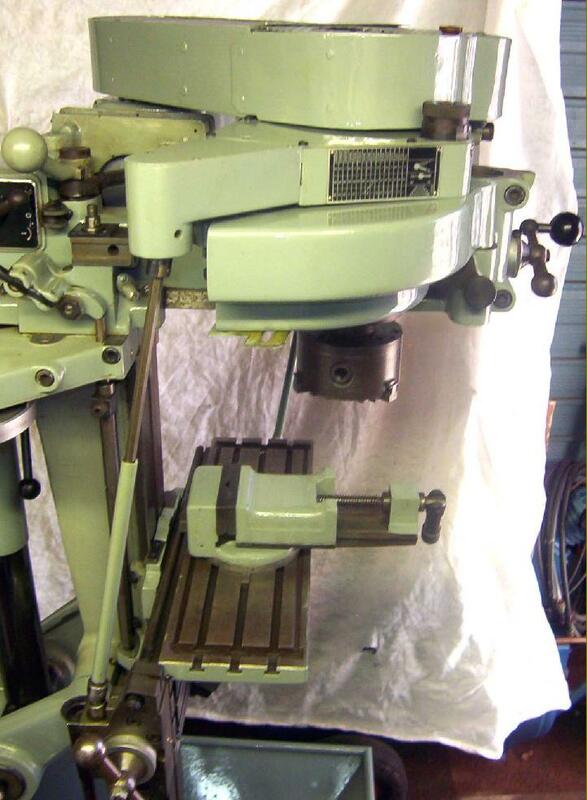 Of course, on heavy milling jobs with high rates of metal removal, the Thiel would be far superior but for more delicate toolroom tasks the Astoba really is astonishingly versatile..
With its very long travel cross slide the UW-1 could be arranged as a lathe to face very large diameters. This is the Model K - the Model S had a single arm reaching to the left from the pivot point on the bed. The UW-1 as a horizontal miller. 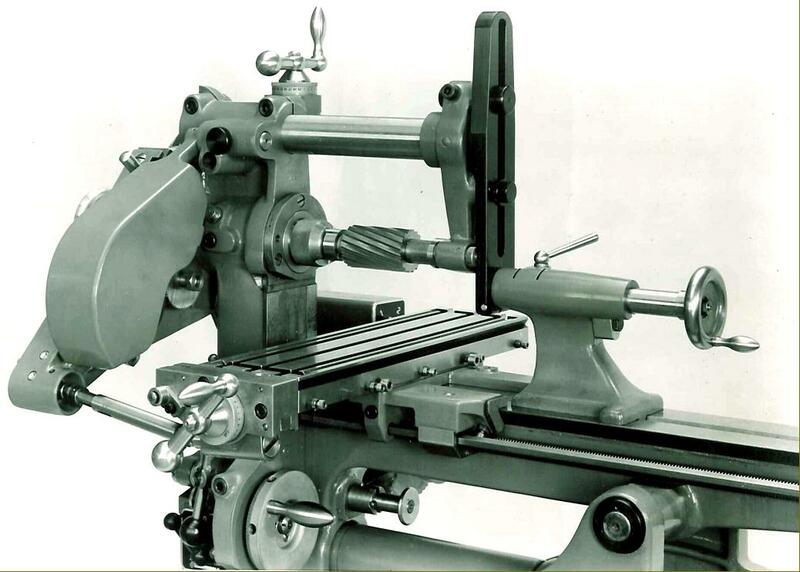 However, in this picture the makers have omitted to show the additional overarm brace that connected the tailstock quill to the outer end of the overarm. An early Astoba-built Model K short-bed bench model on a custom-made stand. This unit is driven by a variable-speed 1-phase to 3-phase inverter - an ideal solution for this type of universal tool where being able to set a precise speed for one of the many different machining operations is a great boon.